The North East awoke to a misty start this morning, but temperatures are expected to climb and the skies clear as the day goes on. The Met Office said today will be a drier, brighter and warmer day for most areas after the rainier weather of last week. 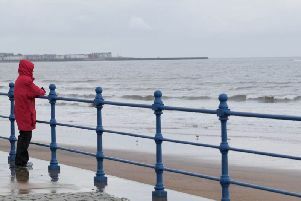 Forecasters say it could be on the cloudy side at times with light winds expected throughout, and it will feel rather warm and humid with a maximum temperature of 21 °C. Tonight is expected to remaining cloudy and close, with temperatures in the teens but no lower than 13C. Tuesday will see temperatures climbing again to as high as 24C, with light winds and sunny spells contributing to a continuing humid feel. It will be mainly dry, but with isolated light showers possible later. It will become breezy during the evening. The outlook for Wednesday is probably starting wet and windy, which will introduce fresher conditions into Thursday, with sunny spells and blustery showers.